A well-maintained lawn can help both increase the value and appearance of your home or office space. In addition, knowing which plants to use for highlighting areas and making the best appearance can be beneficial in getting the ultimate return on your investment. The climate around the Denver area is tricky, causing some interesting weather patterns every month of the year, so ensuring you have selected the best foliage for your needs is key. Following is a look at a variety of trees, shrubs and various plants that will flourish in the ever changing weather. Often trees are not necessarily used to “spruce” up outward appearances but serve a more meaningful purpose such as a barrier or blockage. However, there are times when one is wanted for alternate uses and the Denver climate caters to a lot of differing species. Trees often used for windbreaks or privacy include junipers like the Rocky Mountain or Colorado Green. These trees are thicker around the bottom and narrow as they reach for the sky. However, the tree is thick enough to both keep straight-line wind from becoming a factor and keeping your privacy around a home or office. Box Elder Maples can provide shade and help to break up greenspace depending on the personal preference of the landowner. A Box Elder Maple will flourish, branching out in multiple directions from the top of a typical tree trunk. Shrubs used for hedging purposes include the Alpine Currant and Blue Spruce among others. However, those interested in adding a little more color to their landscape should target a plant from the Barberry group. Barberry’s come in multiple colors including: Emerald Carousel, Japanese Redleaf, Crimson Pygmy, Golden and Rose Glow. Similar in style the smaller shrub will brighten any area in which they are utilized. A lot of varying factors go into determining what plants best fit a particular area including sunlight and water availability. After a decision is reached on plant types that will flourish in a particular setting, choosing the specific plant can also prove to be a difficult decision. 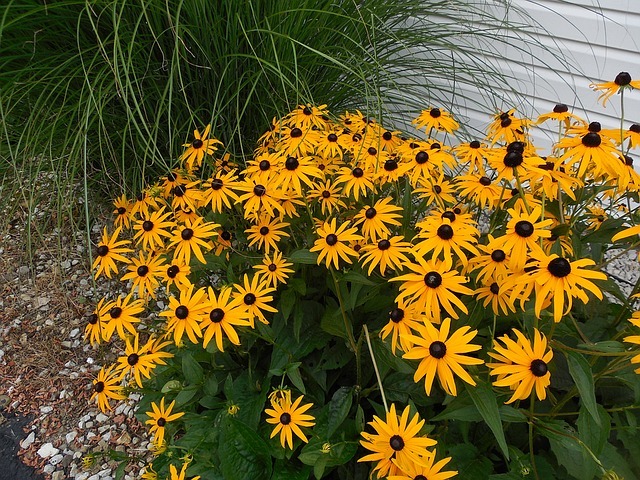 Plants are often categorized by annuals, biennials or perennials depending on their average length of life, which can often be extended with proper care and hydration. Common perennials include geraniums, daylilies and the Denver Daisy. Some geraniums will fall under the annuals category and these tend to be the most colorful of the group. Primrose and snapdragons are also flowering annuals that can help make a landscape more appealing by adding an enormous amount of color. Colorado State University, Denver Botanic Gardens, and the Green Industries of Colorado have all teamed up to create a resource for growing in Denver at http://planttalk.colostate.edu/. The professional staff at Water Solutions Sprinkler Service will be happy to help you decide on the best options for your Denver area lawn or business greenspace, focusing on individual needs and budget. Not only can they assist in landscaping decisions but are able to install professional irrigation services if needed. Contact us today at 720-435-1495 or visit our website at watersolutionsco.com to get more information about the best foliage for your home or business.